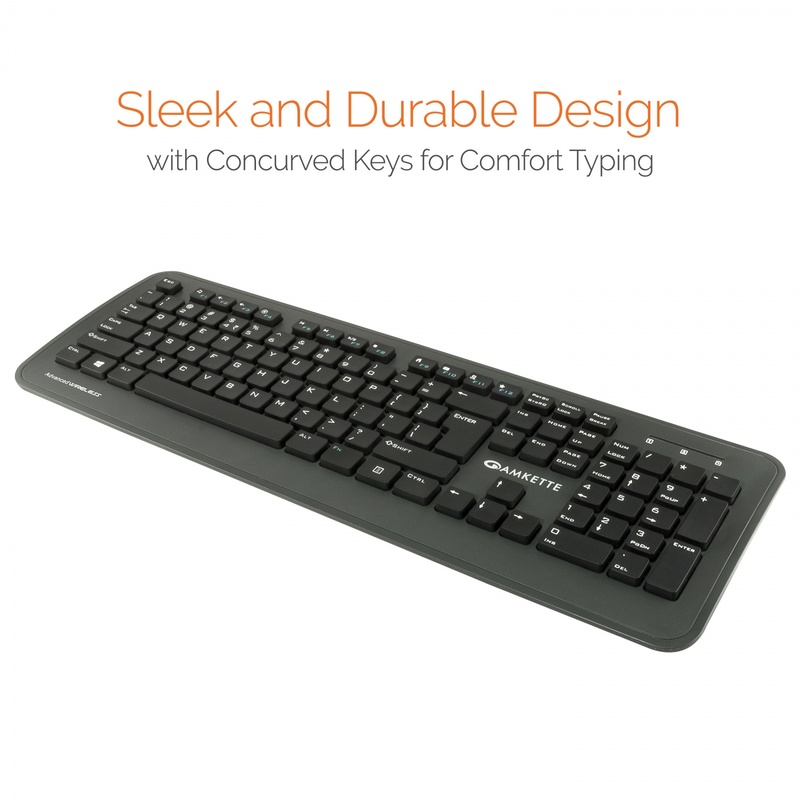 DESIGN AND COMFORT: Amkette Wi-Key Plus features a slim and sleek design for easy handling and also comes with con-curved keys providing a soft yet firm touch to your keystrokes. You will be happy to see and use this Keyboard Combo. 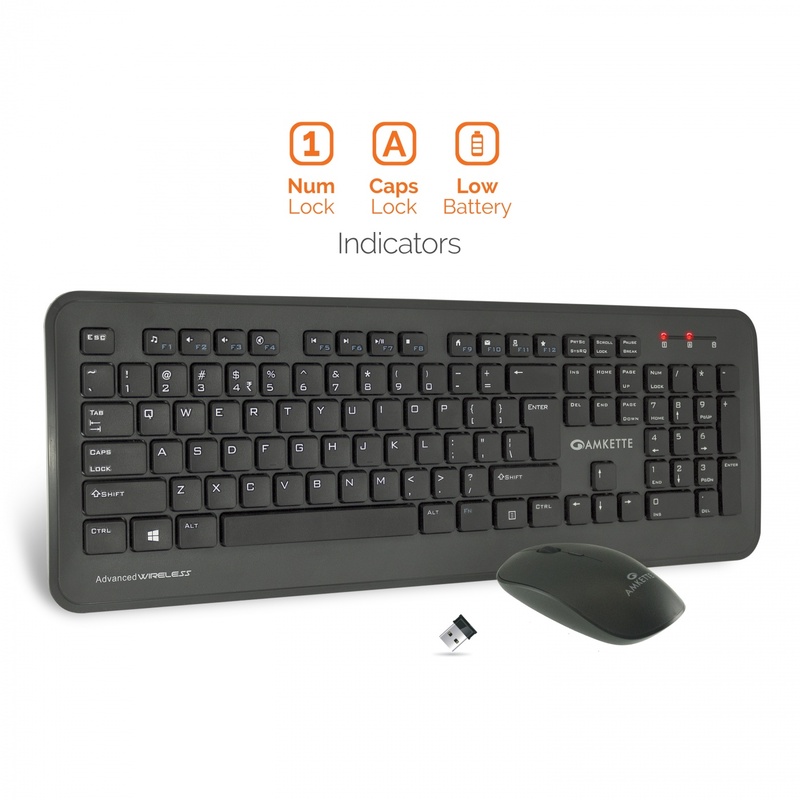 MULTIMEDIA KEYS & INDICATORS: Unlike most Wireless Keyboards, the Wi-Key Plus comes with CAPS and NUM Lock Indicators. This wireless multimedia combo is designed for convenience and instant media and internet access with keys like play/pause music, increase or decrease the volume, mute, open default multimedia player etc. ready for your command. 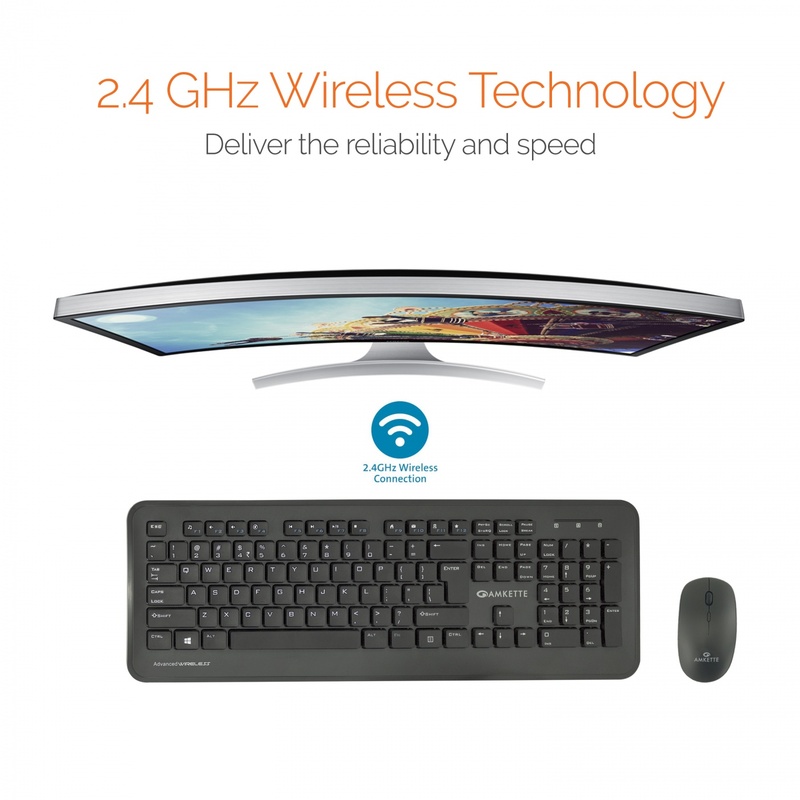 RELIABILITY OF ADVANCED WIRELESS: Advanced 2.4 GHz wireless lets you work or play anywhere. The wireless connection virtually eliminates delays, dropouts, and interference offering lagless experience with a range of up to 10 meters. 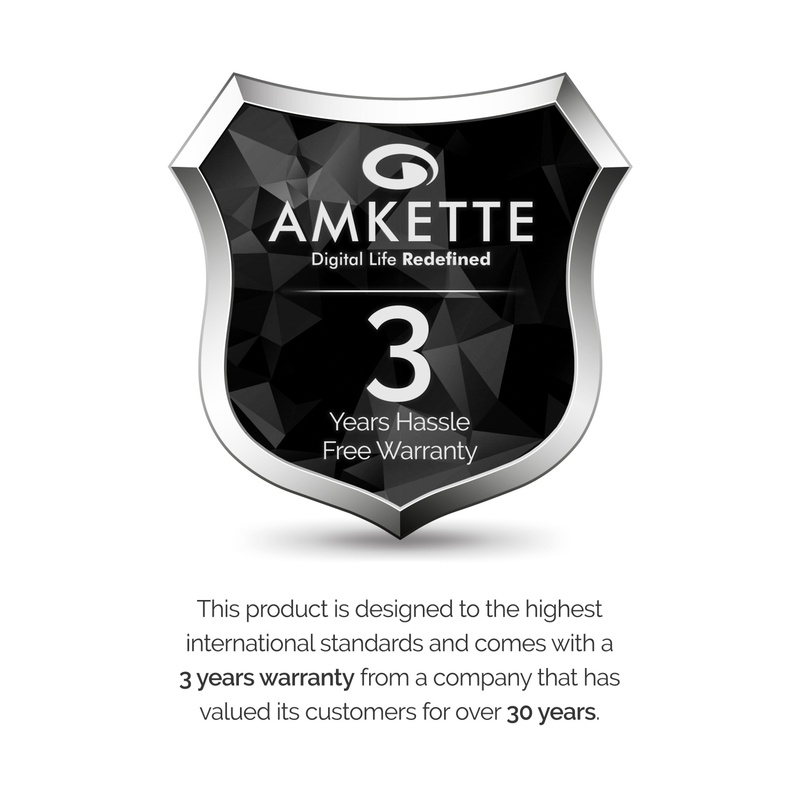 THE AMKETTE ADVANTAGE: HASSLE FREE 3 YEARS WARRANTY from a company that has valued customer for over 30 years. For any assistance, you can always call our customer care number 1800-11-9090 or WhatsApp on 9312691448. Amkette Wi-Key Plus is a sleek and stylish wireless multimedia combo that offers convenience and reliability of Amkette’s advanced Wireless Technology. It has specially designed Con-Curve keys for a serene typing experience and a full-size mouse that provides comfortable and precise navigation. Since the nano USB receiver conveniently snaps into the battery compartment of the Mouse, you can use it independent of the keyboard when travelling with a laptop. 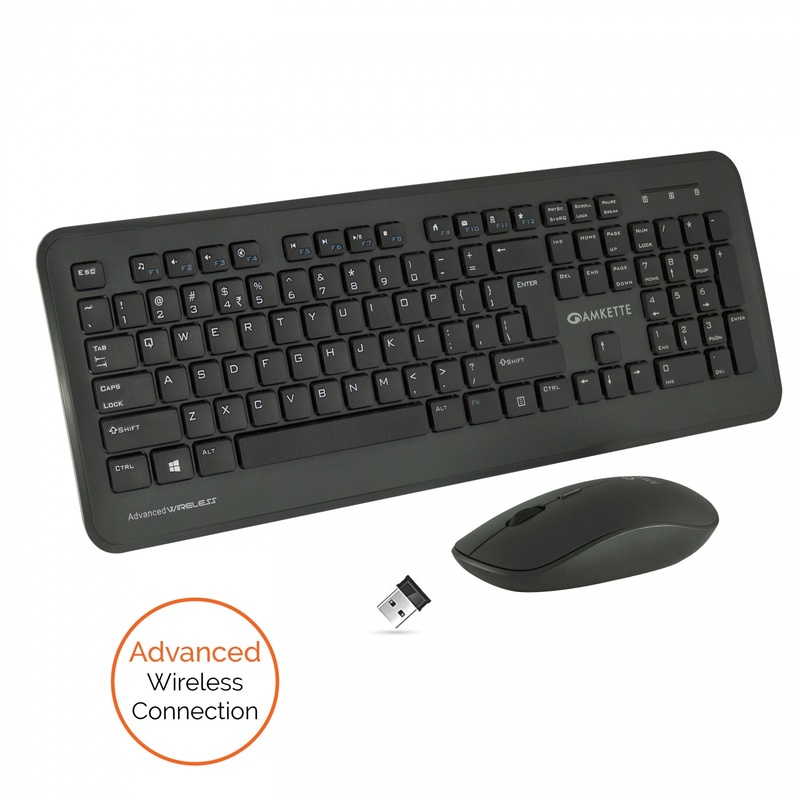 The Wi-Key Plus Wireless Multimedia Combo is a Perfect blend of the function and style. 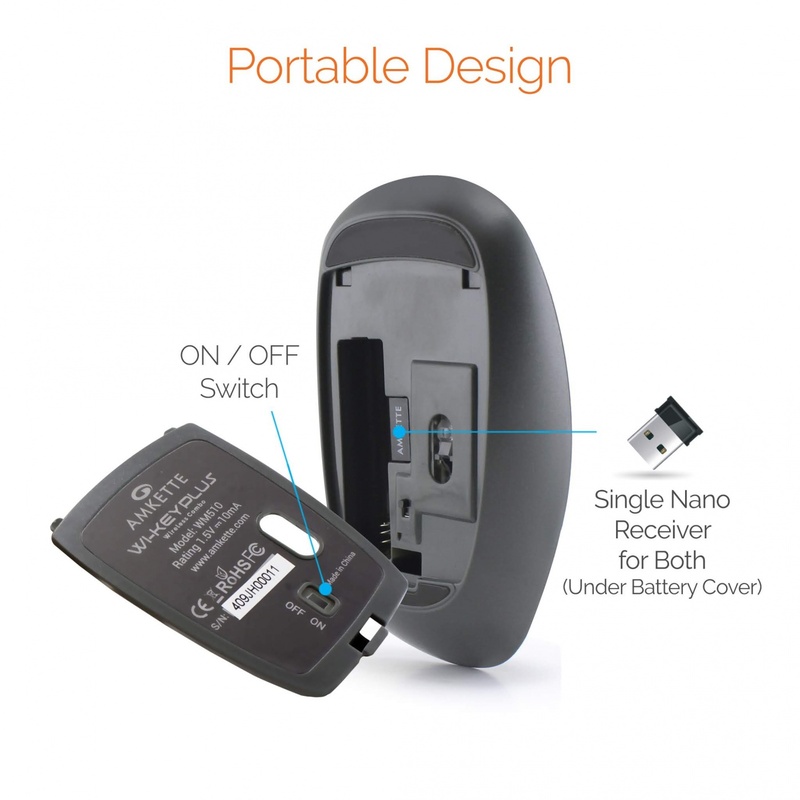 Amkette Wi-Key Plus is a sleek and stylish wireless multimedia combo that offers convenience and reliability of Amkette’s advanced Wireless Technology. 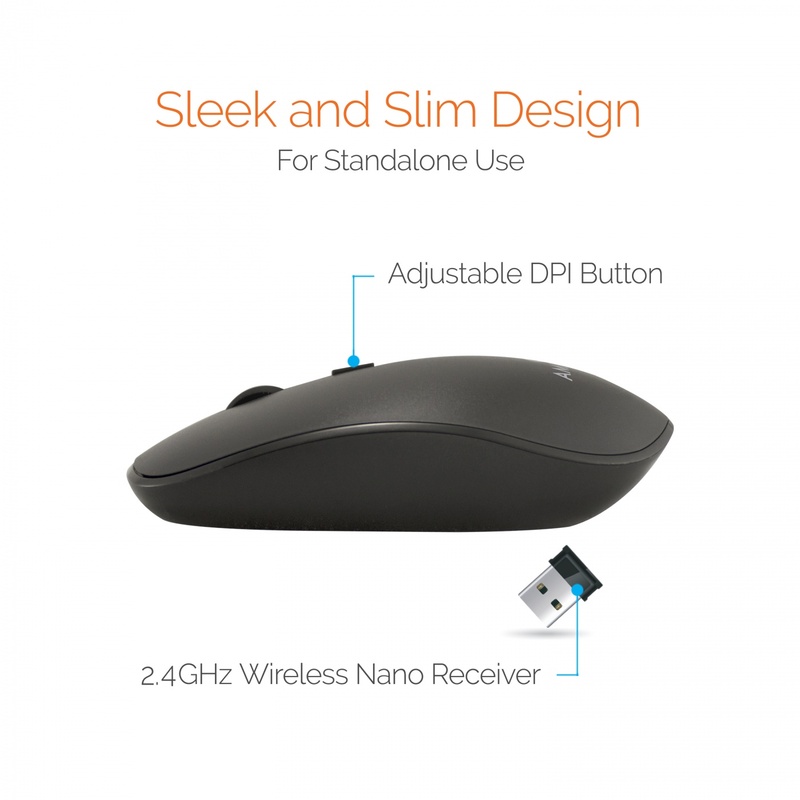 It has specially designed Con-Curve keys for a serene typing experience and a full-size mouse that provides comfortable and precise navigation. 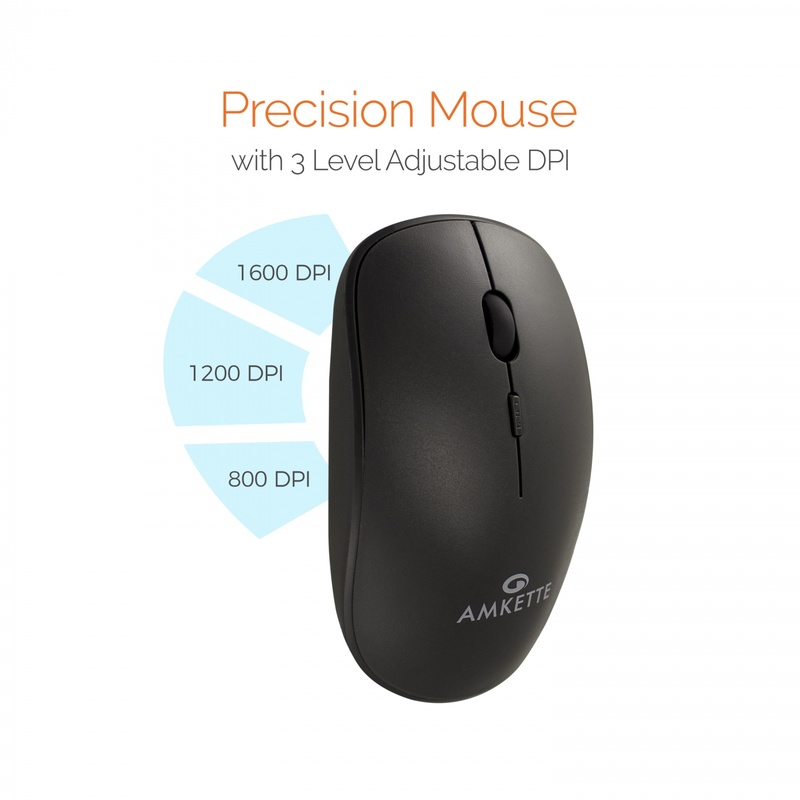 Not only that but the mouse also has different levels of DPI to adjust it according to the needs of the consumer. Since the nano USB receiver conveniently snaps into the battery compartment of the Mouse, you can use it independent of the keyboard when travelling with a laptop. Also, unlike most Wireless Keyboards, the Wi-Key Plus comes with CAPS and NUM Lock Indicators. This wireless multimedia combo is designed for convenience and instant media and internet access with keys like play/pause music, increase or decrease the volume, mute, open default multimedia player etc. ready for your command. 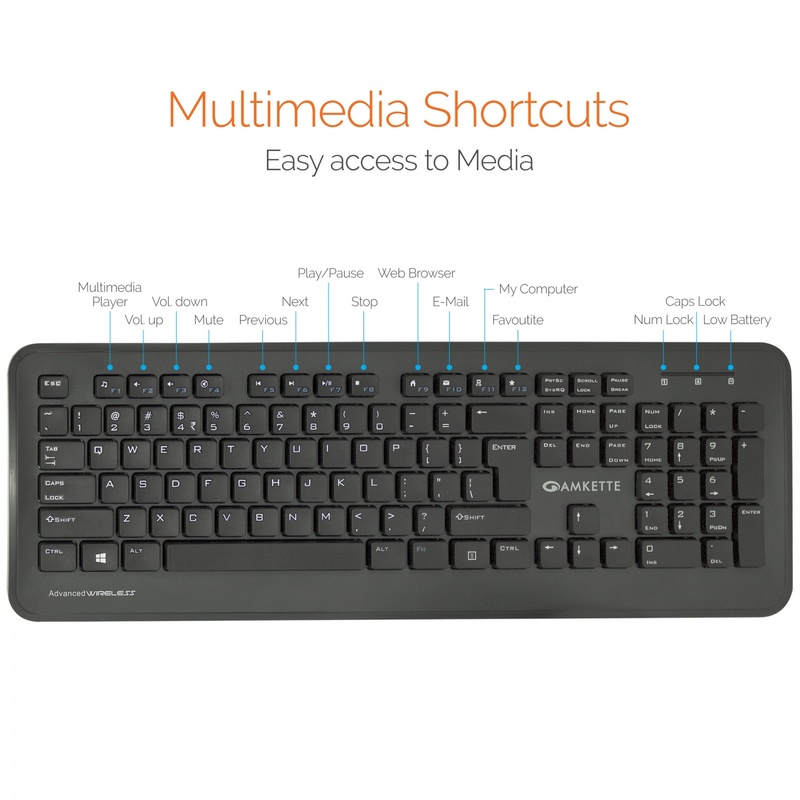 The Wi-Key Plus Wireless Multimedia Combo is a Perfect blend of Function, Style and Quality. Amkette Wi-Key Plus features a slim and sleek design for easy handling and also comes with con-curved keys providing a soft yet firm touch to your keystrokes. You will be happy to see and use this Keyboard Combo. Advanced 2.4 GHz wireless lets you work or play anywhere. The wireless connection virtually eliminates delays, dropouts, and interference offering lagless experience with a range of up to 10 meters. Unlike most Wireless Keyboards, the Wi-Key Plus comes with CAPS and NUM Lock Indicators. This wireless multimedia combo is designed for convenience and instant media and internet access with keys like play/pause music, increase or decrease the volume, mute, open default multimedia player etc. ready for your command. good looking keyboard, nice keys. mouse also good.